The Osmio 4.5 x 10 Inch Carbon Block Whole House System consists of a 4.5 x 10 Inch Blue Housing with Carbon Block 5 Micron. The carbon block filter is made from dried coconut shells and is highly effective at the reduction of chlorine and taste and odour issues that may be present in the mains tap water. 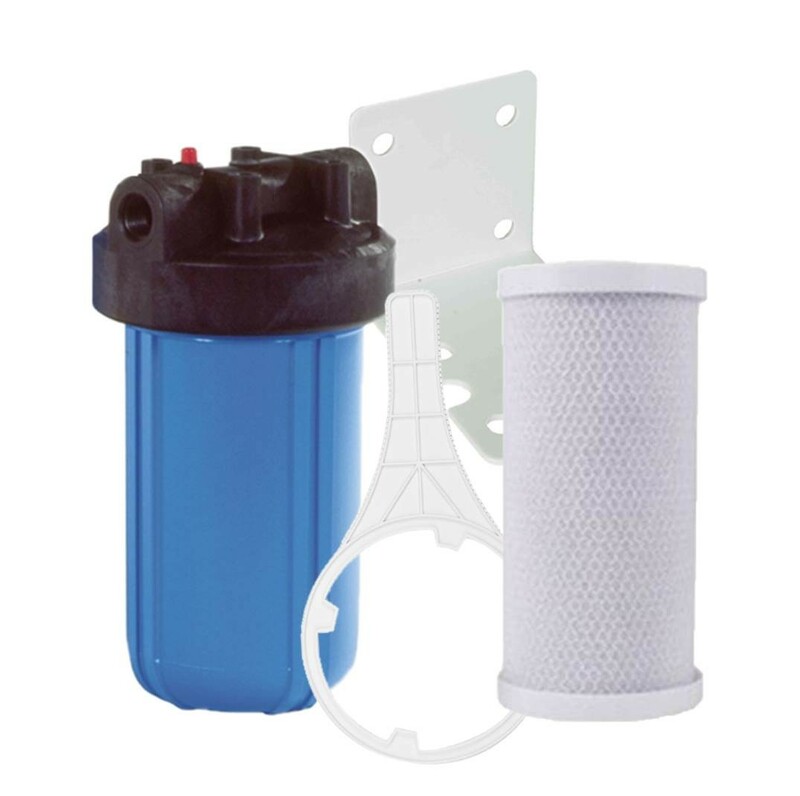 The carbon block also reduces certain Volatile Organic Chemicals (VOC) from drinking water. The coconut base of the carbon also makes a slightly sweeter taste which is pleasant. The carbon block has a very high dirt holding capacity with virtually zero pressure drop. 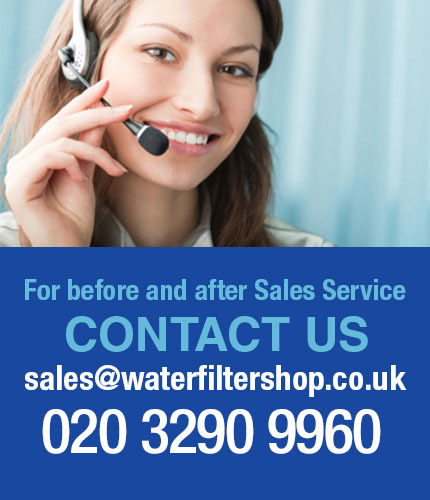 The filter is rated for 46,000 litres so is usually changed every 6 months. 1) Does the system reduce my pressure/flow rate? The system will reduce your pressure by a few psi which is a negligible reduction in flow rate and so the answer is no, not in any noticeable way at all. 2) How often do I change the filter? Every 6 months or longer depending on usage. 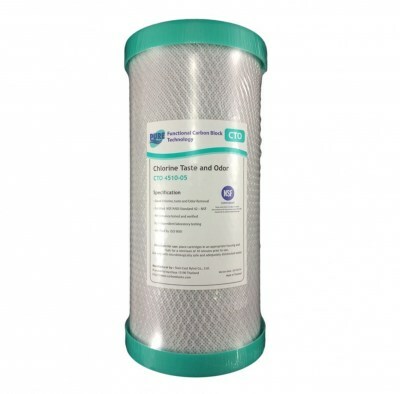 The filter's rated capacity is 46,000 litres. 3) Is it easy to change the filter? Yes very easy. You simply shut off the incoming water and use the provided housing spanner to loosen the housing bowl. Then you remove the filter and put in the new one and screw the bowl back on. 4) Can anyone install it? Yes any handy person or plumber will find it very easy to install. Reduces Chlorine/Taste/Odor (CTO) and certain Volatile Organic Chemicals (VOC) from drinking water using coconut base carbons for a sweeter taste.